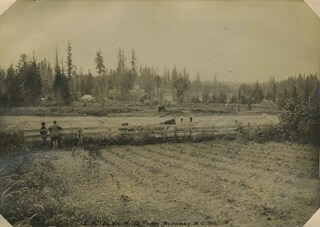 "Burnaby - Pole Line Road"
Photograph looking north towards the Pole Line Road (Sperling Avenue) from the farm of Claude Hill. The photograph has been captioned "The Spinney." 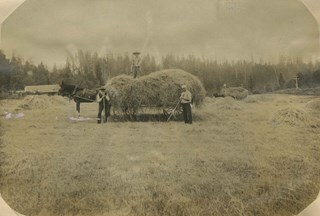 Photograph of the Hill family farm near Deer Lake. 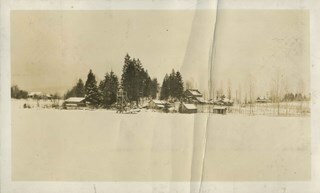 The panorama shows the buildings and fields and off to the right can be seen the Pole Line Road (Sperling Avenue). 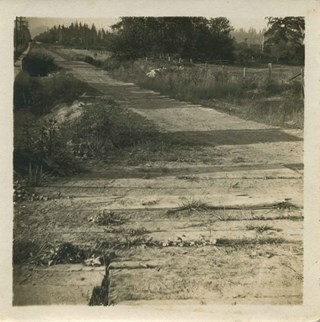 Photograph taken looking north along the Pole Line road (now Sperling Avenue) towards the Burnaby Lake interurban station. 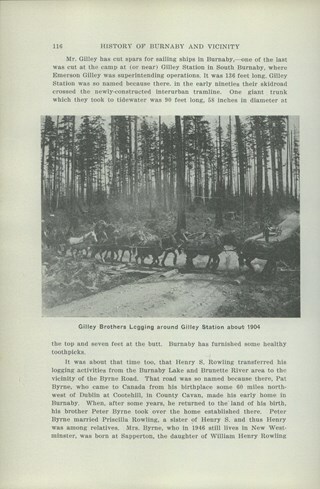 Notice the planks along the road. 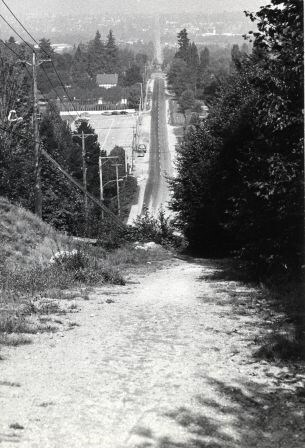 Photograph shows a view of Sperling Avenue looking north from Eagles Drive. Photograph shows a view of Sperling Avenue looking south from Broadway. 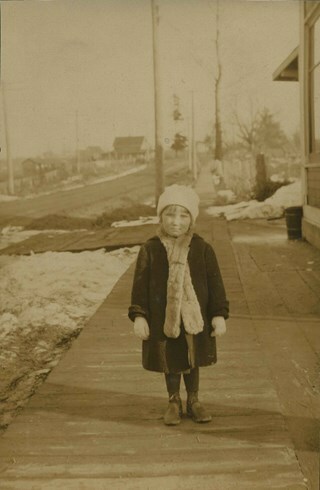 Photograph of Edith Clayton standing on the boarded sidewalk outside the Burnaby Lake Store. The photograph was taken looking along Douglas Road (later, Canada Way), towards New Westminster. Edith is dressed in a winter coat with scarf, mittens and hat. 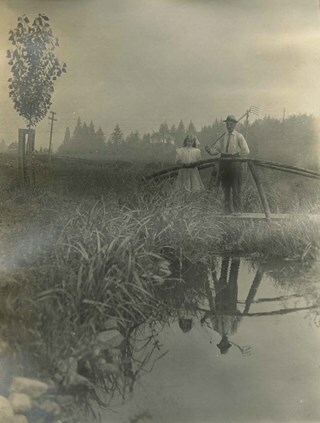 Photograph of Claude Hill with his daughter Kitty standing on a foot bridge over a small creek. In the background directly behind Kitty can be seen the Hill family home known as Broadview which was located on Buckingham Avenue. 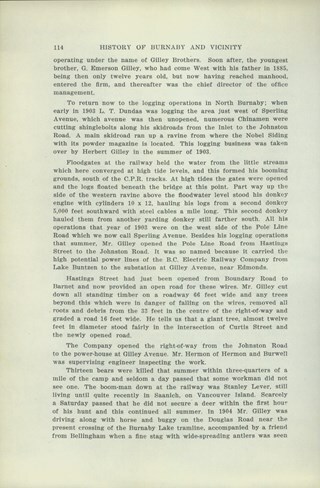 The Pole Line Road (later renamed Sperling Avenue) can also be seen. At the far left, top corner of the photograph another house is visible. 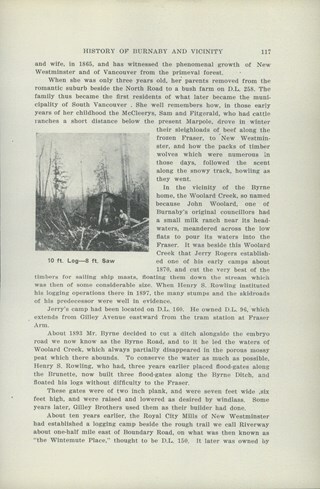 This was the home of Francis J. 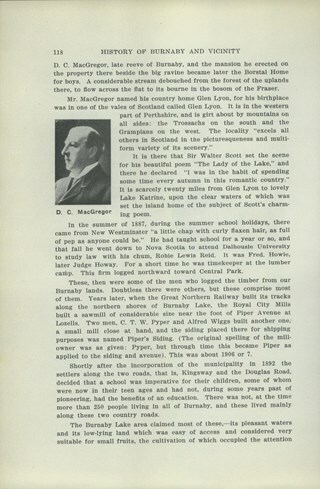 Peers, on what is now Rugby Avenue (5289 Rugby). This house was known as Greyfriars. 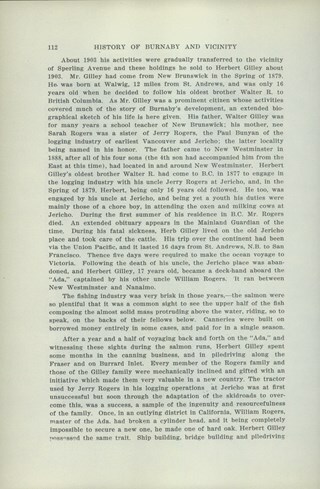 Kitty Hill would later marry Bob Peers, son of Francis. Photograph looking towards the Pole Line Road (later Sperling Avenue) from the farm belonging to Claude Hill and known as Broadview on Buckingham Avenue. This property formerly belonged to Malcolm Nicholson. 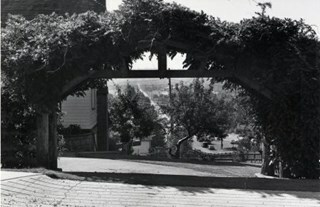 A fence can be seen dividing the garden from the field and two men are standing alongside with a horse and carriage nearby. Four children are walking in the field - from left to right, Kitty Hill, Ed Clayton, Gerry Hill and Florence Hart . 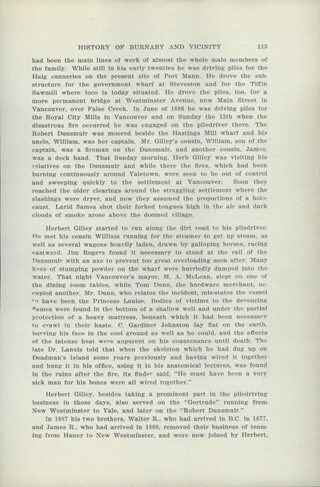 A house can be seen in the background, this is most likely the cottage belonging to Harriet Woodward which served as the first school and post office at Burnaby Lake. 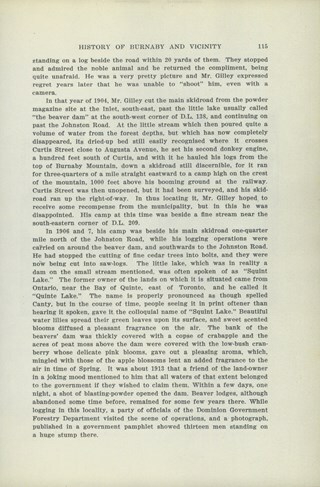 To the right of the Woodward house can be seen the roof of the Claude Hill house known as Brookfield which was at 6501 Deer Lake Avenue and above that is a house on a hill which was the George Clayton home (on what later became the Henry and Grace Ceperley Fairacres estate at 6344 Deer Lake Avenue).